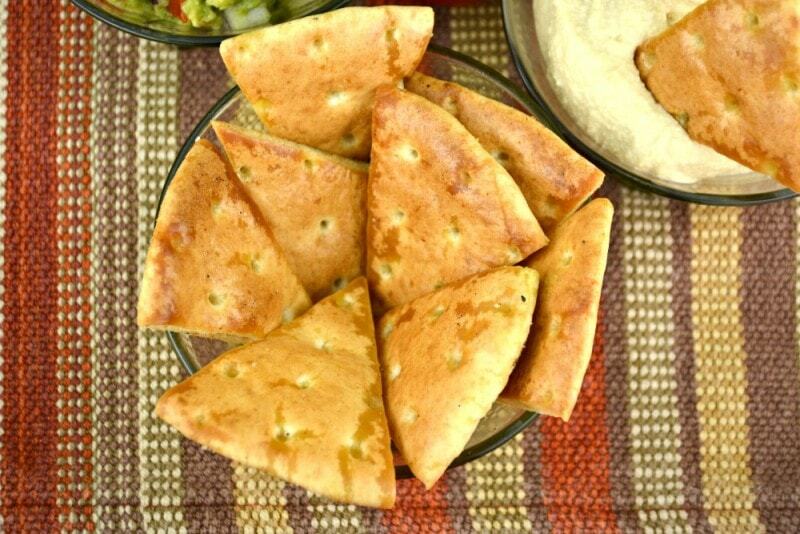 These Baked Pita Chips can be made in 20 minutes and are fabulous served with any dip your heart desires or on their own. You can literally season these chips with all of your favorite flavors! Most often I use garlic, salt and pepper but have used Italian seasoning, chili powder, onion powder, barbecue chicken seasoning and so much more! 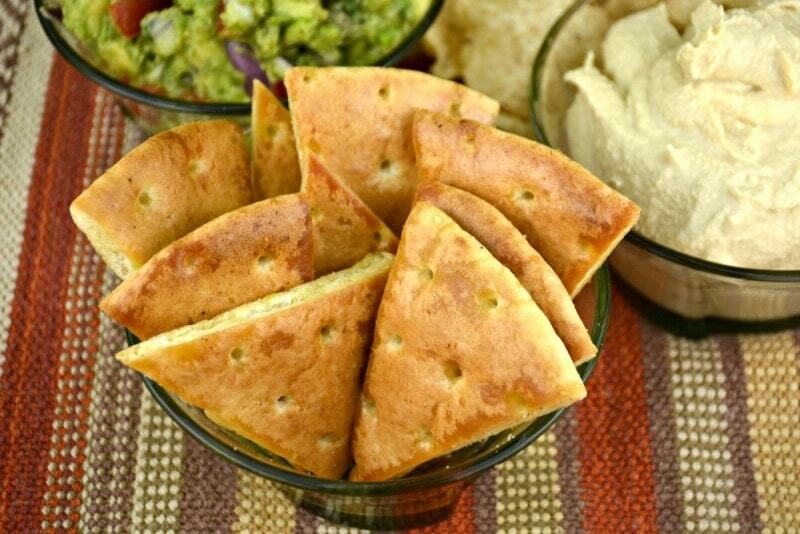 I always make Baked Pita Chips whenever I am making Our Ultimate Guacamole or Our Ultimate Roasted Garlic Hummus or when I just need a snack I just eat them on their own with whatever seasoning I am in the mood for! Always absolutely delicious! 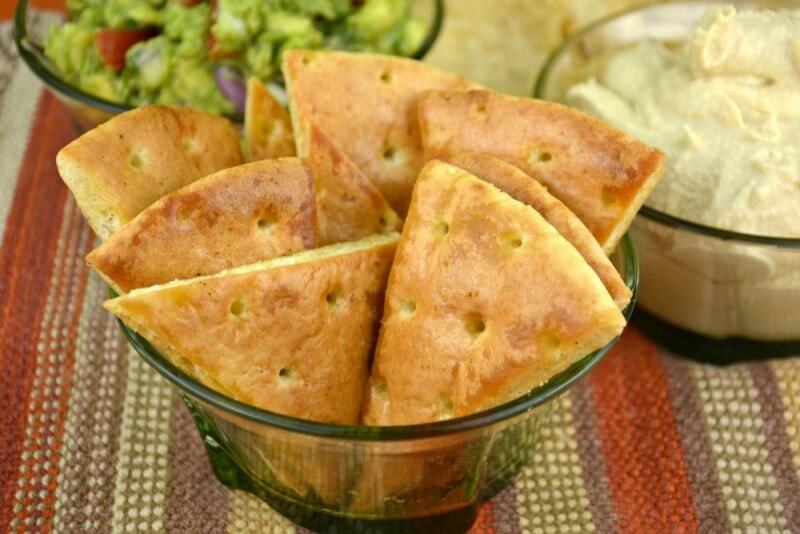 These Baked Pita Chips can be so addictive too! I always have to be careful how many I eat because I find these chips are so much like potato chips! Especially with certain spices on them! 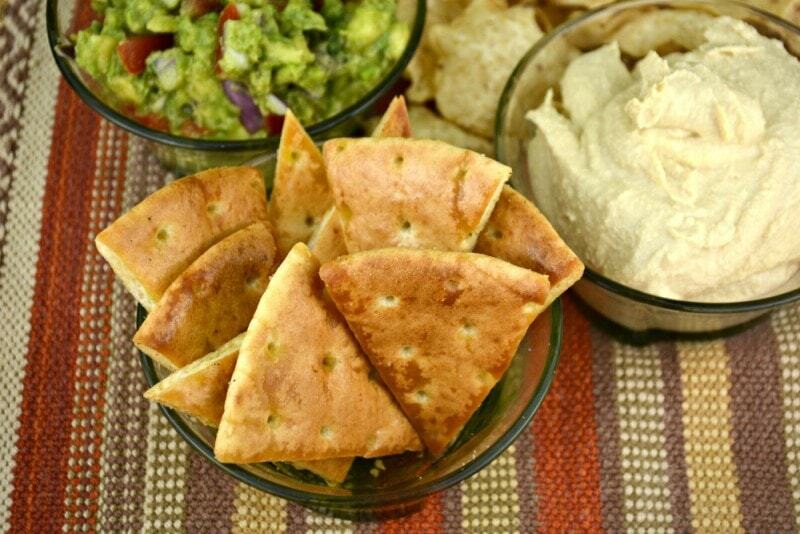 Baked Pita Chips are the perfect snack! Who doesn’t love a recipe that is both fabulous and fast? I wish all recipes were this easy to create! My son used to love these Baked Pita Chips when he was young! I used to bake a pita for him with a little salt and pepper and he used to love dipping these chips in everything from peanut butter to his favorite, guacamole! 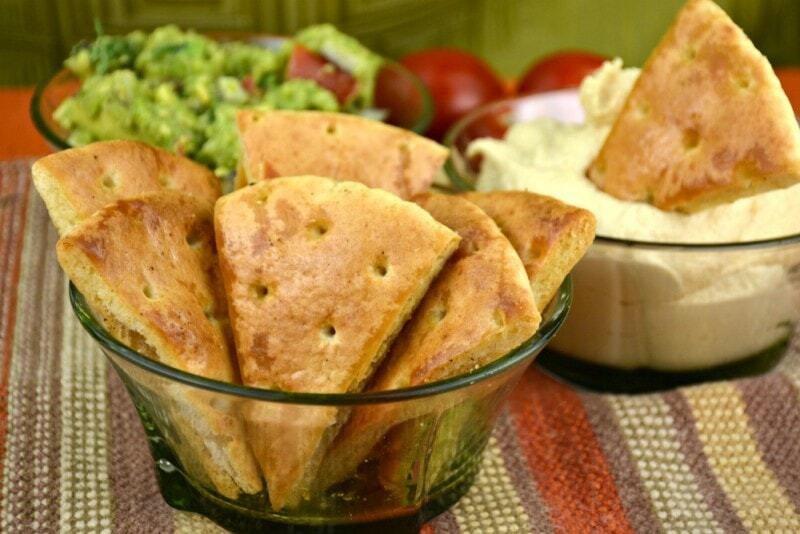 These Baked Pita Chips are so much stronger to use as a scoop or spoon with dips! I just hate it when you try and scoop out some dip and the chip breaks! It can be so frustrating and this never happens to me with these Baked Pita Chips! You need to bake these Baked Pita Chips until they are nice and brown, you don’t want to cook them too long, that is for sure! I usually keep an eye on them after the 15 minute mark! Better to be safe than sorry! Also oven temperatures tend to vary! 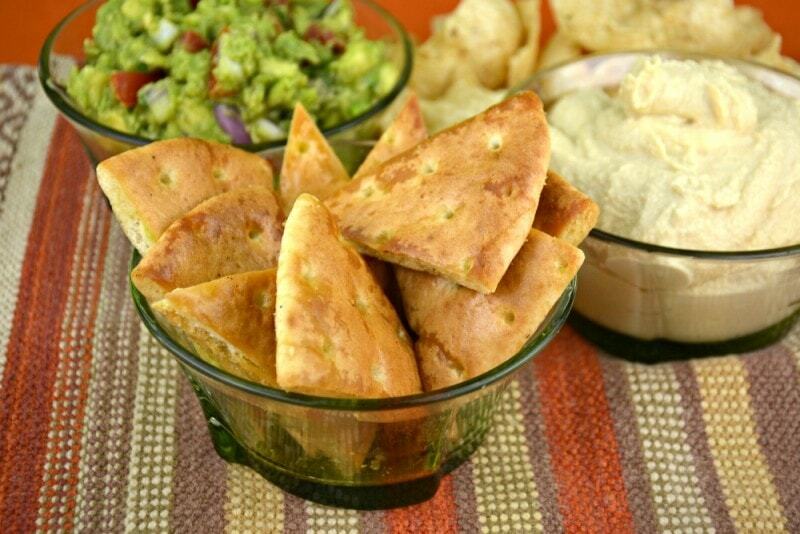 Have a look at our short video so you can see just how easy these Baked Pita Chips are to make! Preheat your oven to 350 degrees. Cut each pita into 8 equal triangles,. This means cut in half, cut in half and cut in half again. Arrange the pieces on a baking sheet. 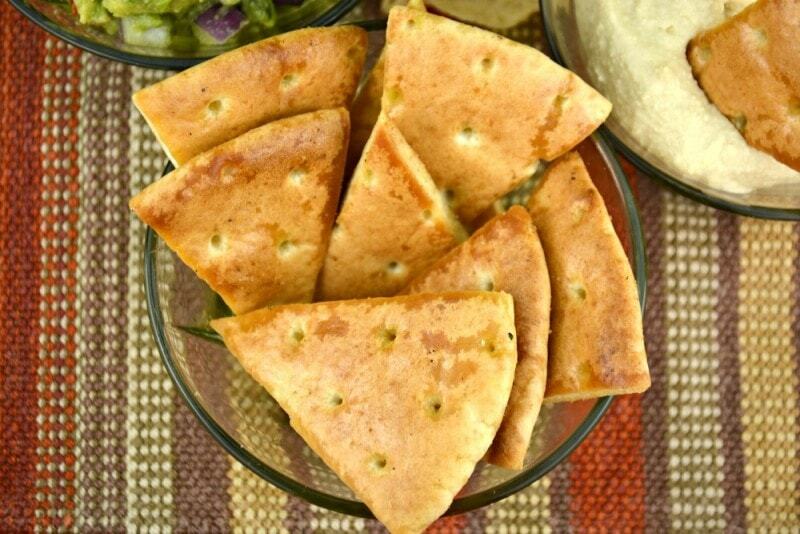 Brush each pita chip using approximately 1 tablespoon of olive oil in total and then flip each piece over. To be honest I usually pour a little olive oil into a bowl and brush a little on each chip! Sprinkle with salt, pepper and garlic powder (if desired). and bake until crisp, between 17 and 20 minutes. 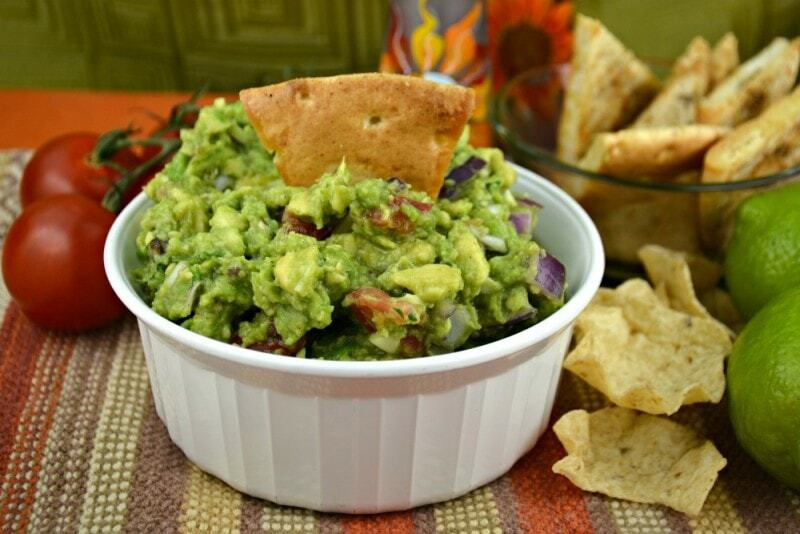 Serve as a snack or with your favorite dip! Enjoy!